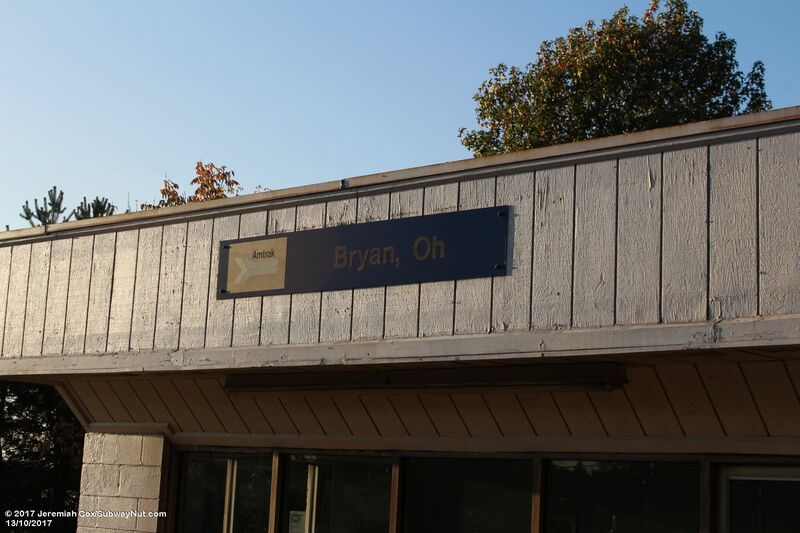 Bryan, Ohio is a small town of 8,500 people in the northeast corner of Ohio. 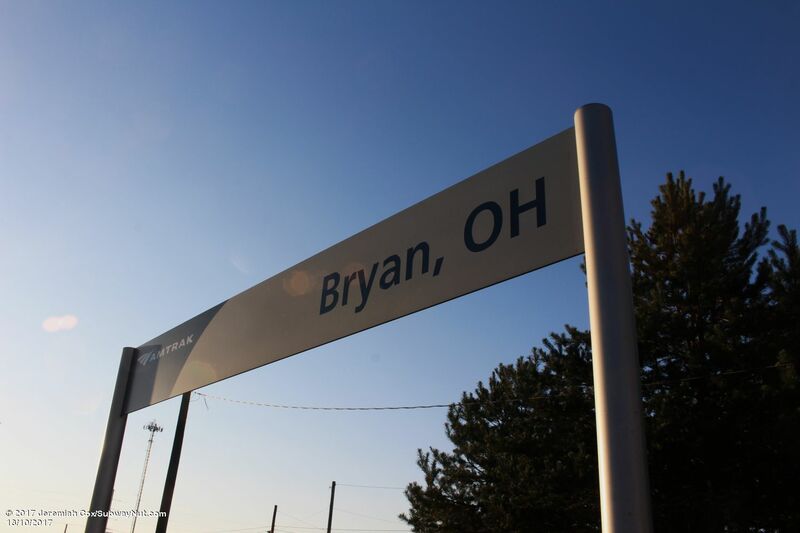 Train service was restored to Bryan on April 27, 1980 on the Lake Shore Limited, then the only Amtrak route to run on the ex-New York Central Airline. 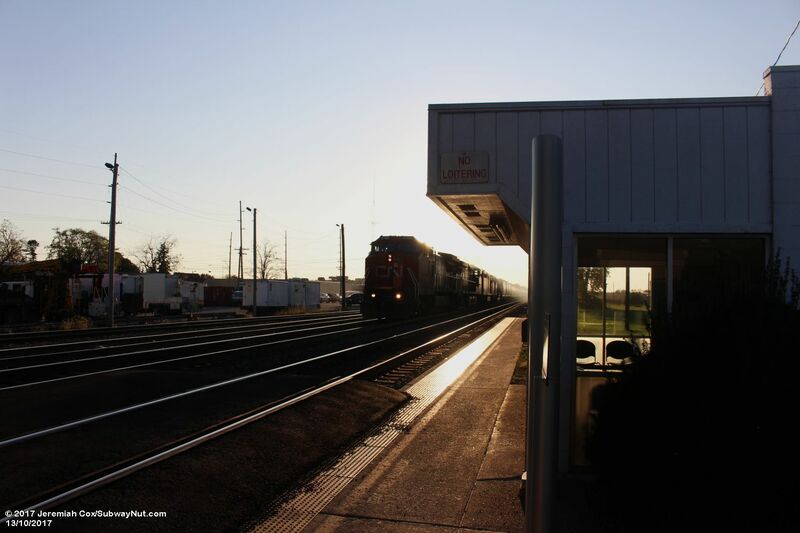 When the former mainline via Fort Wayne was abandoned by Amtrak in 1990 the Capitol Limited was rerouted through Byran but did not stop, instead a station opened just 25 miles west in the smaller town of Waterloo, Indiana, built because of its location due north on I-69 from Fort Wayne. 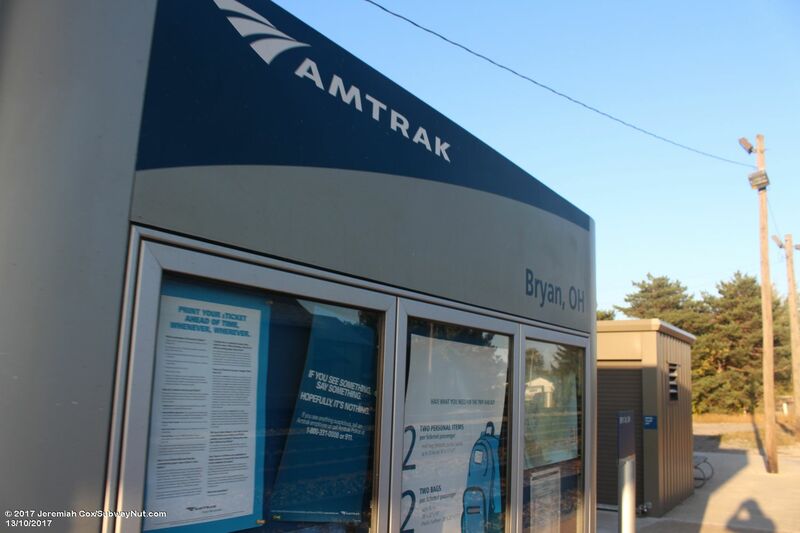 Bryan was also bypassed when the Pennsylvanian was extended to Chicago between November 7, 1998 to January 2, 2003. 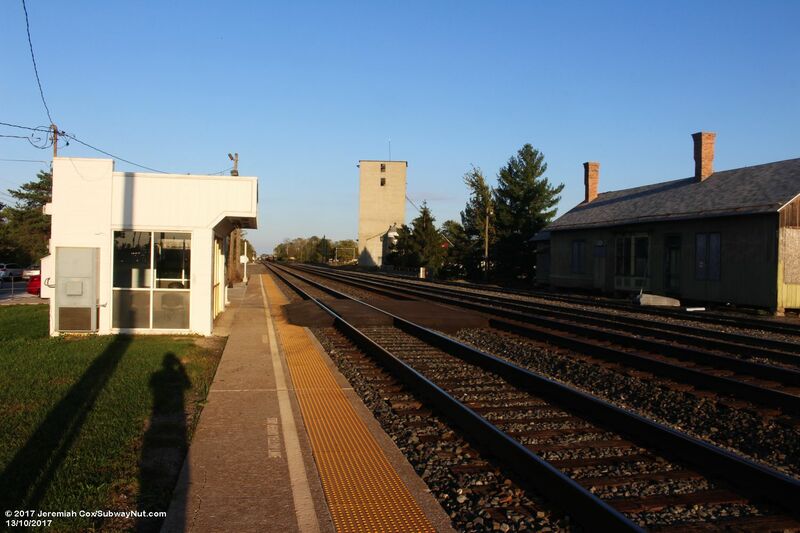 To this day the stop only sees daily nightly service on the Lake Shore Limited. 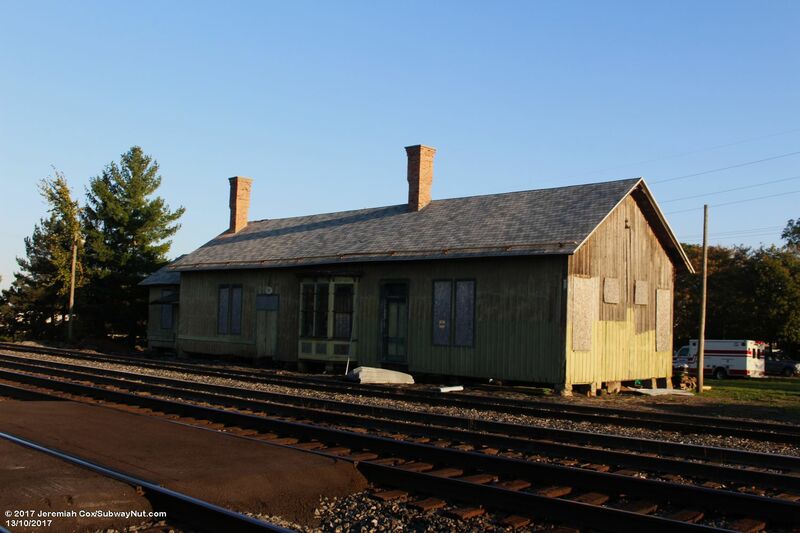 The station is simple, consisting of a short and very narrow platform on the north side of what is a three track railroad line in this area. 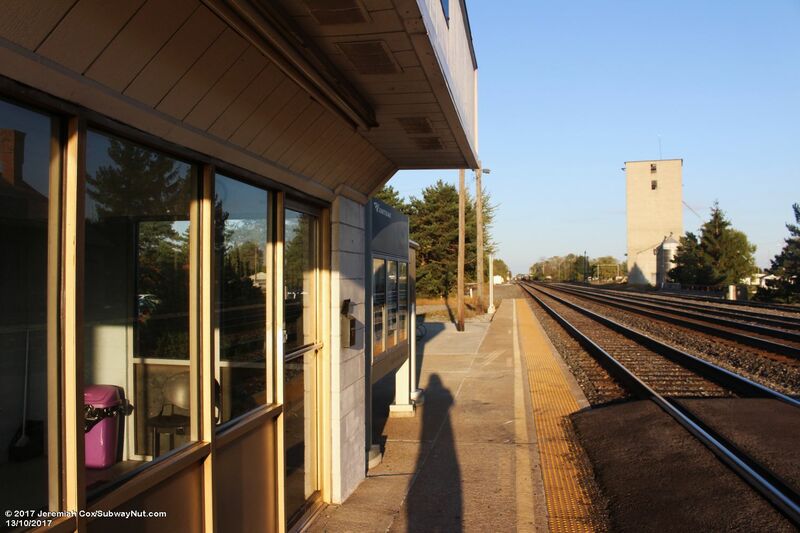 The platform begins just beyond the underpass of Main Street and runs west. 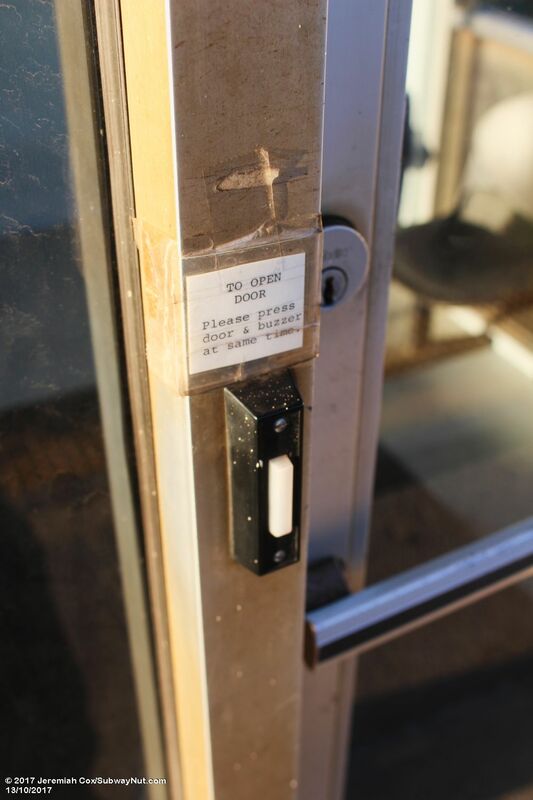 It has a modern tactile warning strip that takes up nearly half the platform. 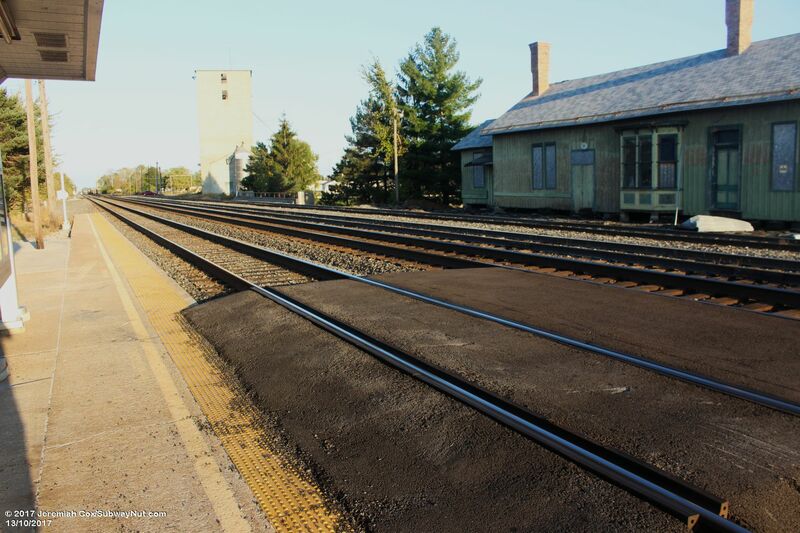 A small layer of asphalt has been laid over the middle of the platform and northernmost track so passengers can also board trains on the middle track. 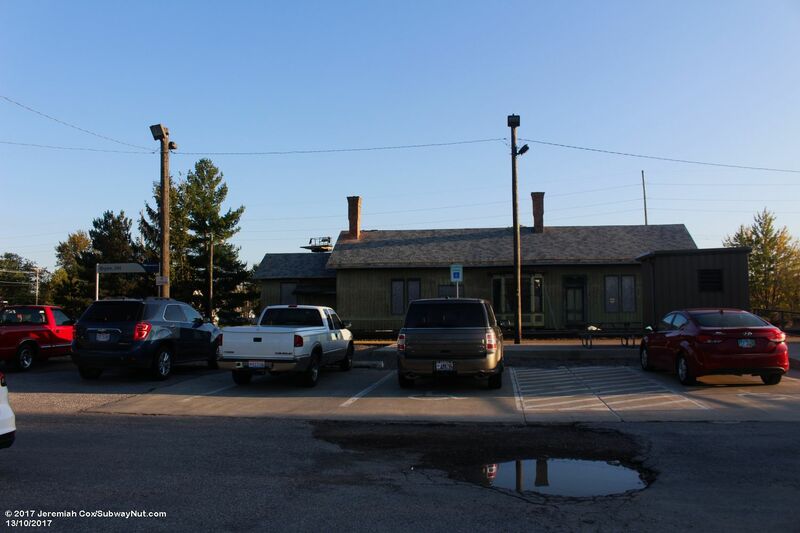 Norfolk Southern has a yard office and a few sidings just west of the station. 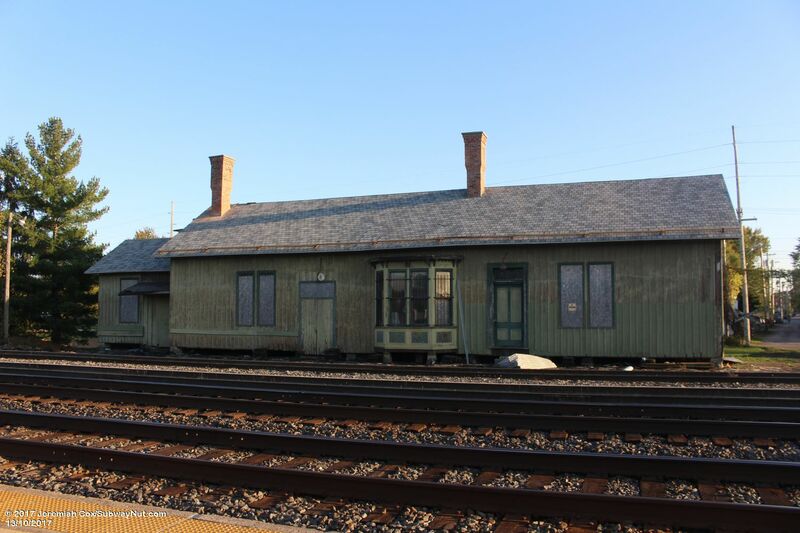 Across from the platform on the opposite (downtown) side of the tracks is the historic and boarded-up late 19th century train depot. 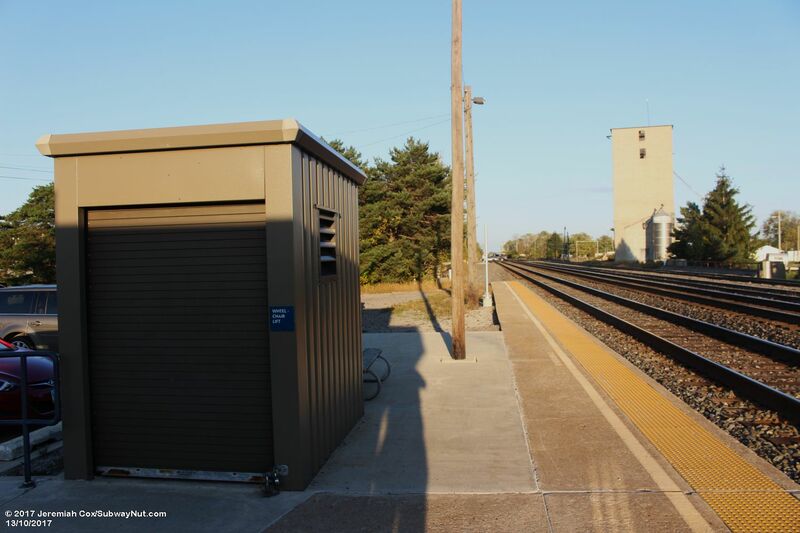 Waiting passengers today have a small white cinderblock shelter structure. 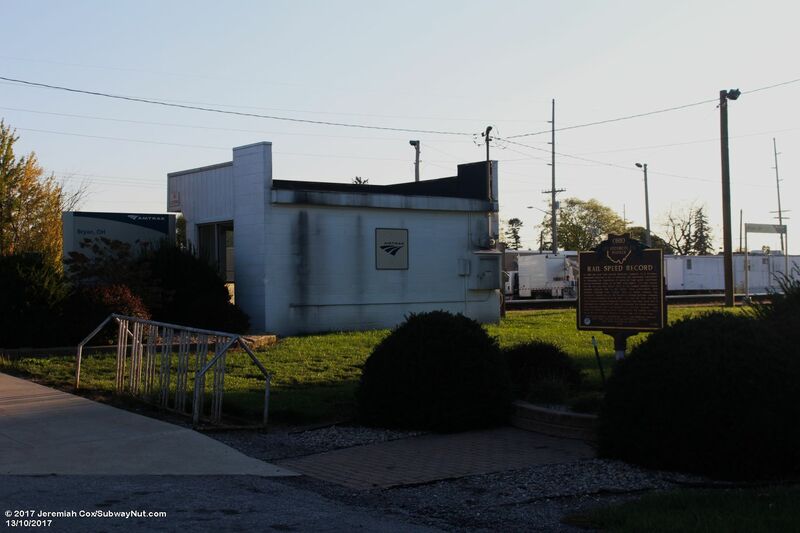 It has a door an old pointless arrow Bryan, Oh sign on its roof that almost forms a canopy. 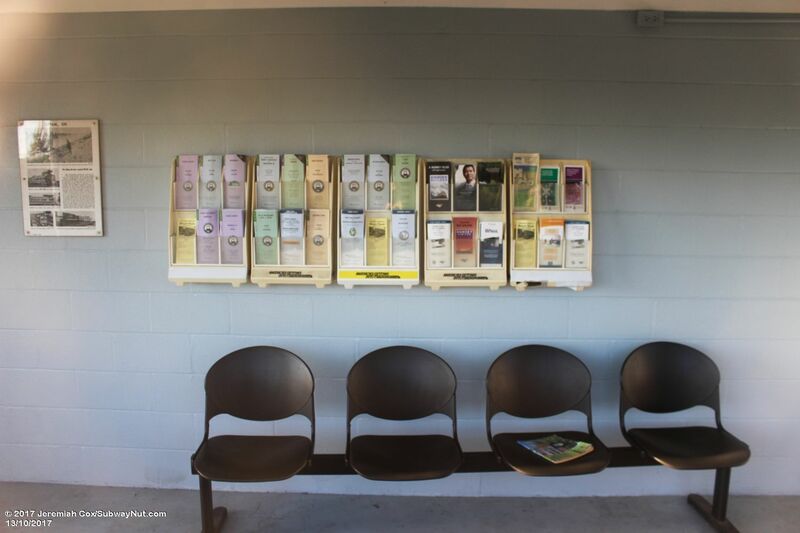 Inside is a bench with plenty of timetable racks. 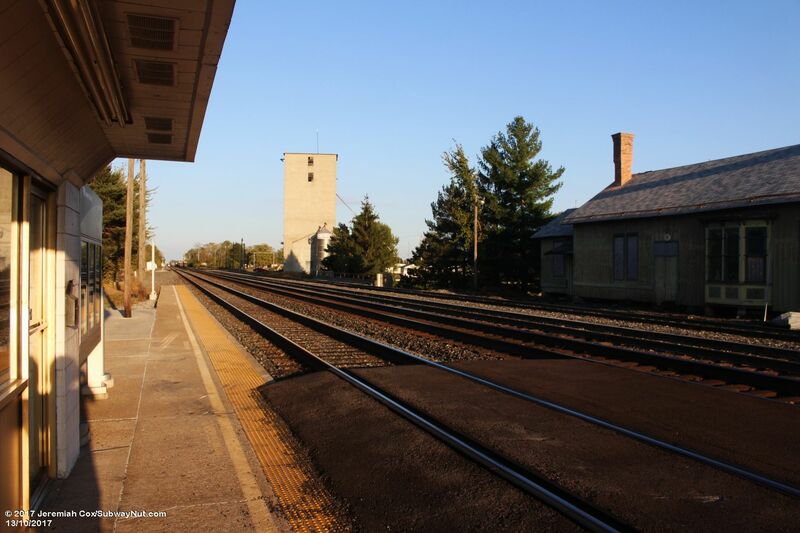 A button says push a buzzer for access which I didn't try since I wasn't there to catch a train. 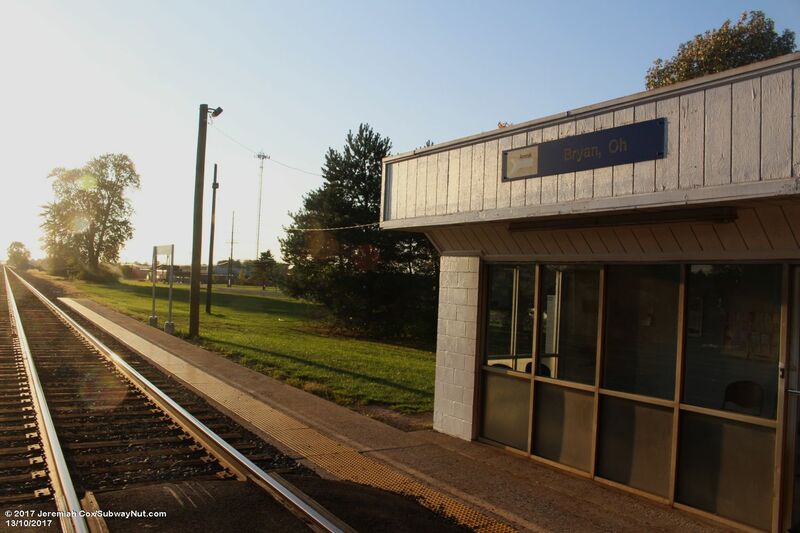 Modern amenities include a brown wheelchair lift enclosure and a few modern Bryan, OH platform signs. 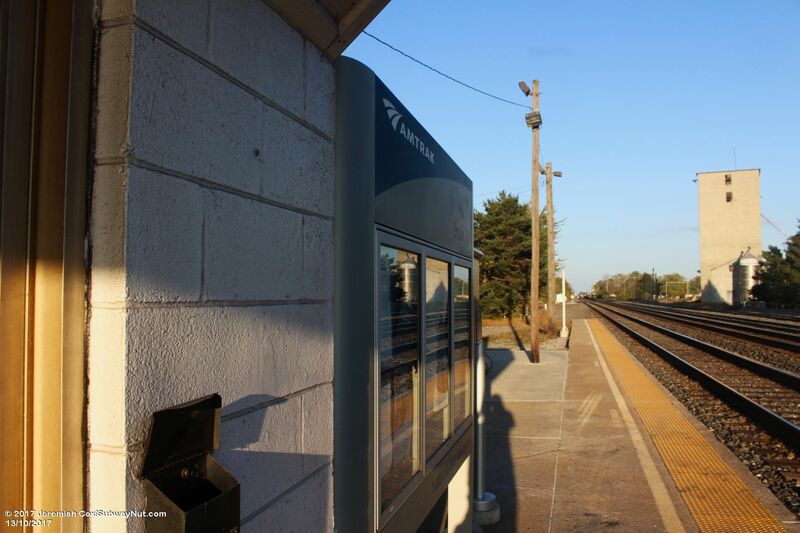 There is also a larger modern Amtrak information panelThe platform leads back to a small 20 space parking lot. 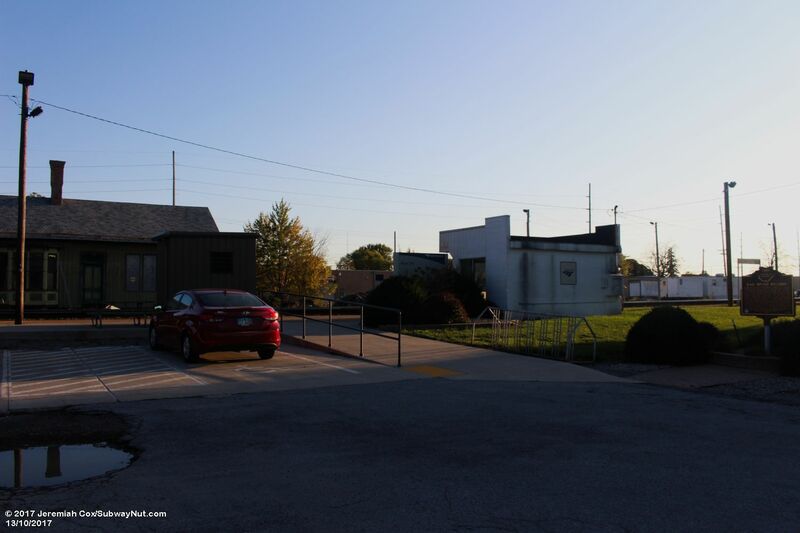 Access to this lot is from the No Outlet end (an Amtrak served community sign is above this sign) of Paige Street, which runs parallel to the tracks and ends at Main Street's underpass. 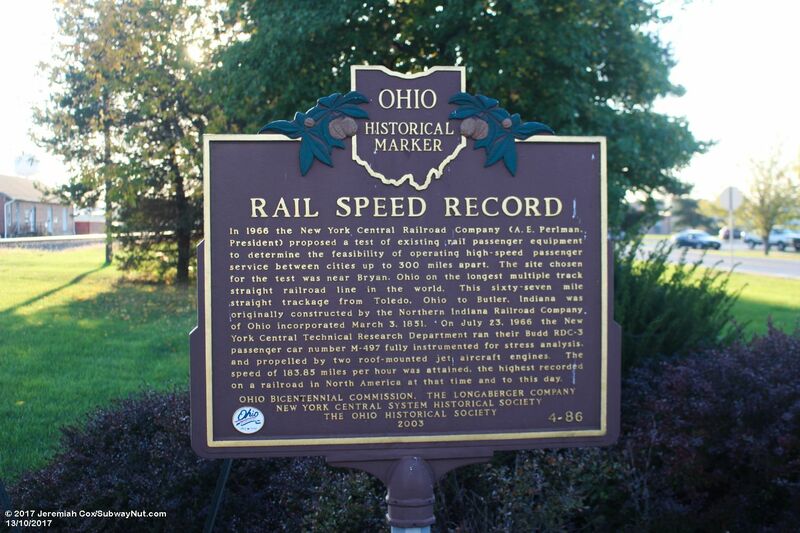 A State of Ohio Historical Marker at the station commemorates the Rail Speed Record of July 23, 1966 when a modified RDC equipped with two jet engines attained a speed of 183 miles per hour on a straightaway near the station. 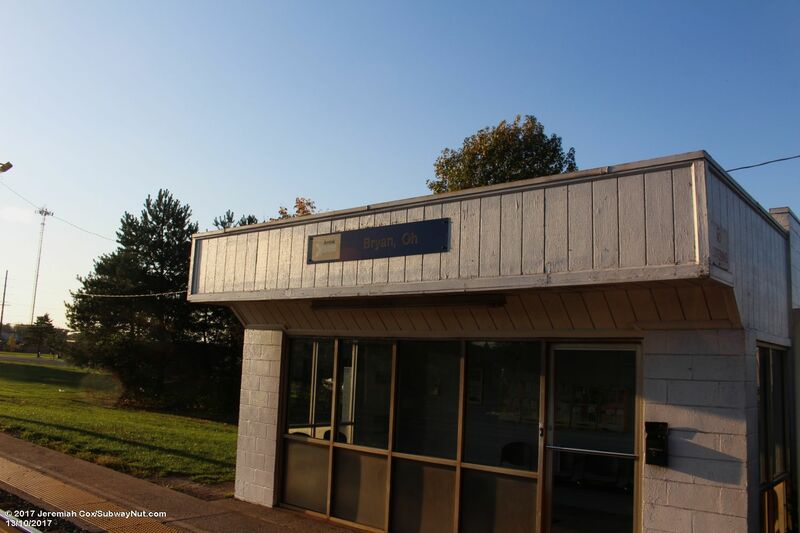 All Photos taken on October 13, 2017 on a visit by automobile.